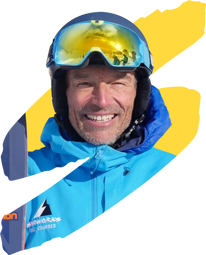 Phil Smith, director of Snoworks Ski Race Camps discusses ski racing and the open environment. 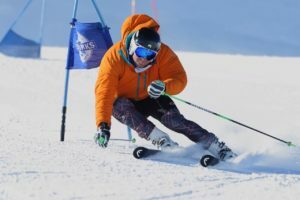 For years at Snoworks we’ve been educating athletes on the virtues of understanding ‘open’ sport, performing in ‘open’ sport and understanding how effective coaching works in ‘open’ sport. ‘Closed’ sports are where the environment does not change such as running in lanes, swimming in lanes, javelin throwing, discuss, hammer etc, along with some highly technical sports such as singles figure skating and high diving. ‘Open’ sports are where the environment is constantly changing such as football, rugby, tennis, sailing, surfing etc. It’s a continuum with some sports far on the ‘open’ side, some far on the ‘closed’ side and others a mixture between the two. It’s important to understand where ski racing fits as this will determine how ski racers think, train, perform and race. Ski racing in my book is definitely ‘open’. Some may say it’s more closed than off-piste but is it? No two courses are ever the same, no two slopes are ever the same, no two runs are ever the same. Even when skiing the same course every run will be different, every change of direction different. How we perform in ‘open’ and ‘closed’ sports are very different. Have a read of these two sentences describing ‘open’ and ‘closed’ sports. It’s important to really understand them. When performing in ‘Open’ sports the movement patterns are always CHANGING and decision making is SPONTANEOUS. When performing in ‘Closed’ sport the movement patterns are REPETITIVE and decision making is PRE-PLANNED. These two sentences are a world apart in sport. ‘CHANGING AND SPONTANEOUS’ versus ‘REPETITIVE AND PRE-PLANNED’. It may sound quite simple and most people probably agree that racing is ‘open’ and they may even believe they are coached ‘open’ and race ‘open’. But many racers come out of courses, many racers hit plateaus, many racers become frustrated, many racers are often disappointed with their results and many racers are critical of course setting? I travel around the race circuit all winter and often hear comments about the course, “too fast”, “too tight”, “too straight”, “too offset”. Being a course setter myself I know what it’s like. You set a course and more or less get ready to be criticised. Set it for slower racers and some faster racers are critical. Set it for faster racers and you worry about some slower racers skiing too fast for their ability. Off-set it to control speed on steeper sections and you worry that some racers won’t make it down yet set it more direct and you worry about some racers going too fast. Ski racing on the face of it is pretty simple. Someone sets some poles in the snow and the racer skis around them using the skills they have acquired. Now if you have trained ‘closed’ that means your movement patterns are ‘REPETITIVE’ and decision making is ‘PRE-PLANNED’ therefore you need a course that matches your movement patterns and your pre-planned decisions. Every now and again you’ll get one and be onto a winner but much of the time you’ll end up frustrated. If you’ve been trained ‘open’ your movement patterns are constantly ‘CHANGING’ and your decision making is ‘SPONTANEOUS’ so most of the time you’ll be onto a winner. You’ll be able to perform to your best more or less all the time. To re-inforce ‘open’ sport it would be useful to look at another sport that is open. Lets take football as an example. We know how open football is, 22 players on a pitch never in the same place twice. The play ebbs and flows and changes continuously. We could say the odd penalty shot is closed, or a corner, free kick or throw-in but even these are open albeit not as open as open play. 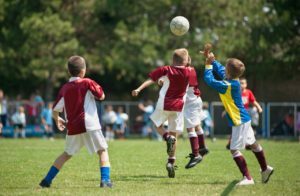 So the way football coaching works is the players arrive and the coach and players spend time doing ‘drills and skills’ to develop particular aspects of their play. Passing, tackling, shooting, dribbling and various ball skills along with tactical skills like positioning, defending, attacking etc. During this period the coach is available to coach and give feedback as required. After some time the coach says “shall we play a game?” Now the match is where everything becomes ‘open’. It’s now up to the players using skills previously learnt, adapting and varying them and making spontaneous decisions on the move to suit the play. Nothing is ever the same. The athletes determine the flow of play. The ‘skills and drills’ training and ‘playing the game’ are very different. This understanding is crucial in ski racing. Training is ‘skills and drills’ and racing is ‘playing the game’. You could say that in training you can ‘play the game’ as well which is fine. But it’s important to distinguish between ‘skills and drills’ and ‘playing the game’. The reason why many racers hit plateaus in their racing is that they are trying to develop ‘drills and skills’ and ‘play the game’ at the same time. There is no differentiation. A ‘closed’ racer believes the ‘drill’ that they have been taught and trained is how to ‘play the game’. It’s not! Replicating a closed ‘drill’ in an ‘open’ environment is a sure way of coming out of a course or loosing your line and in the process become frustrated and disillusioned. The first thing to recognise is the difference between ‘open’ and ‘closed’ sports. Recognise the difference in how they are performed then recognise the difference between ‘skills and drills’ and ‘playing the game’. You then need to ‘buy’ into ski racing being an ‘open’ sport. This in itself is crucial. If you believe ski racing is ‘closed’ you will be developing REPETITIVE movement patterns for ‘closed’ sport and your decision making will be PRE-PLANNED rather than ‘spontaneous’. The movement patterns are always CHANGING and decision making is SPONTANEOUS. CHANGING and SPONTANEOUS. These are key words and will determine how you train and race. 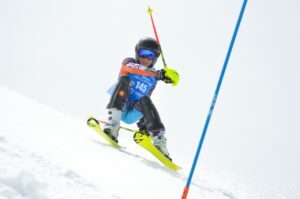 An ‘open’ ski racer will adapt their skiing to suit the environment, the texture of the snow, the terrain and the ski course. Nothing is ever the same. Every race, every run, every change of direction is unique and different. 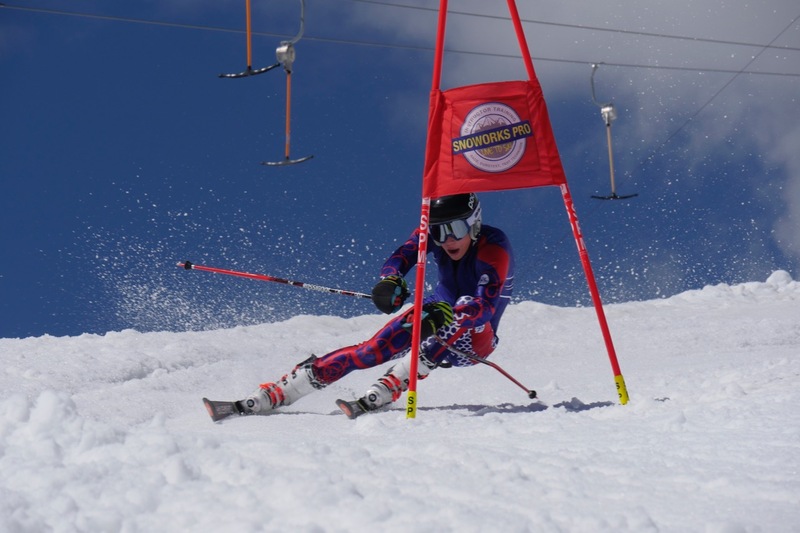 All Snoworks courses have an ‘open’ approach to skiing and coaching.